The City of Bayonne announced the issuance of request for proposals this week for the establishment and maintenance of a bike-share program in Bayonne. The program is a good fit with the development of one- and two-bedroom luxury apartments near the light rail, which attract a young demographic. If the City were to implement the Citibike program, Bayonne may be more attractive to young professionals commuting to Jersey City or Manhattan, both of which have contracts with Citibike. Dawn Zimmer implemented in 2014, or create its own local bike-share program. Either way, residents may soon have one more option for getting around the long peninsula city. According to the RFP, the contract specifies that bikes will be maintained by the contractor, and must be non-interchangeable to reduce risk of vandalism, have baskets and secure locks, and advertising space. 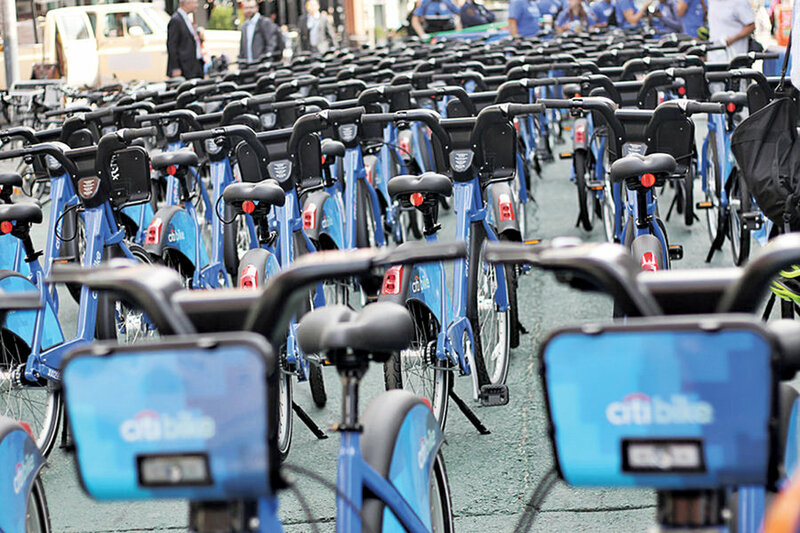 The requirements are virtually the same as most bike shares in cities across the country – weather-proof equipment, payment authorization systems, and an accompanying smartphone app to locate stations. The RFP also preferences solar-powered stations, minimizing the cost of power and maintenance. And like other bike share programs, Bayonne’s will be funded with revenue from membership and usage fees. The city may not see a bike-share program for at least a year; similar programs in Jersey City and Hoboken took a year to implement after passing through the city council. Until then, the contractor, to be approved by the city council, will work with the City to recommend locations for stations, each taking up anywhere from two to three parking spaces. Two walkways are planned for Bayonne in the near future. The Hudson River Walkway on Bayonne’s eastern shore will connect with the same path that connects Jersey City, Hoboken, and Weehawken, and on completion, all the way to the George Washington Bridge. The western shore is due to get a walkway connecting parks and natural shorelines, funded in part by a $900,000 NJ Department of Environmental Protection grant awarded to Bayonne earlier this year. In addition to the city’s initiative to revitalize parks and make waterfronts accessible, a bike- share program could help attract developers looking to attract young and carless professionals to the area. Davis said he wants to preserve parking and that he is not looking to establish a separate bike-share program, like Hudson Bike Share in Hoboken. “I’d rather have somebody come in because they know how to do it, rather than piecemeal something together that might not work,” he said. In cities today, fewer people are using cars. According to U.S. Census data, 23.1 percent of households in Bayonne have no vehicles, a much lower percentage than Jersey City (38.6), Hoboken (35.1), both with bike-share programs of their own. 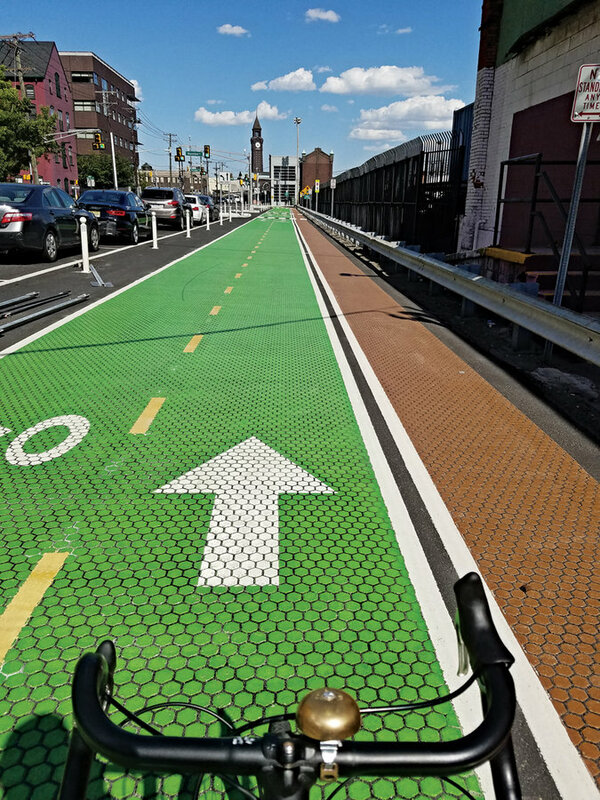 When The Bayonne Community News covered cycling in Bayonne last year, Richard Gonzalez, owner of RG’s Bicycle Shop on Broadway, argued for better cycling infrastructure for commuters. “They need to make bike lanes,” he said. “The ones they have around here aren’t real bike lanes.” The “lanes” he is referring to are the bicycle signs painted on the street that are meant to remind drivers to share the road, as opposed to painted lanes that are meant to separate drivers and cyclists. When a bike-share program is installed, an increase in cyclists is sure to follow, along with the need for infrastructure such as bicycle lanes. The City’s Master Plan is expected to be unveiled this spring, and Suzanne Mack has said that bike lanes were considered in the planning process. Some residents may oppose the program if stations occupied valuable parking real estate, given Bayonne’s high rate of vehicle ownership and home dwellers coveting the privilege of ample street parking. The Davis Administration is betting on cycling to maximize the use of open space and attract development. Time will tell if the choice will work as well as it has for Jersey City and Hoboken.